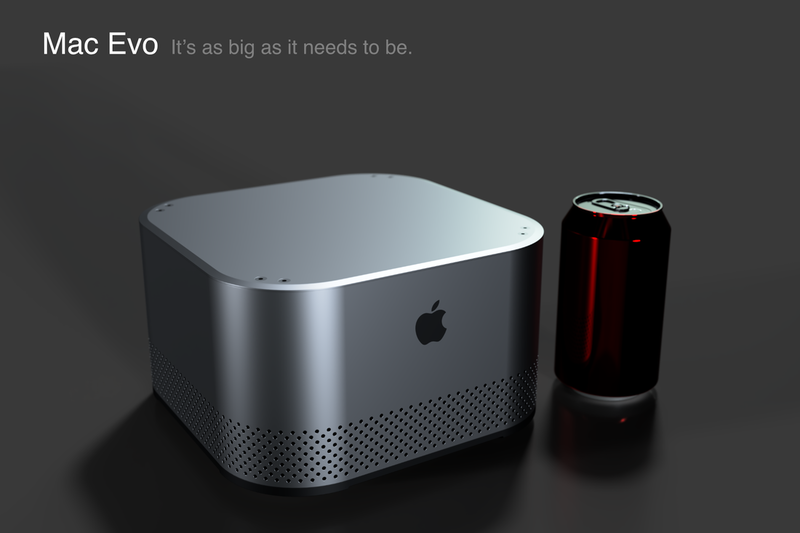 The Mac Evo is a concept for an Apple desktop computer that could fit between the Mini and the Pro in their product line. 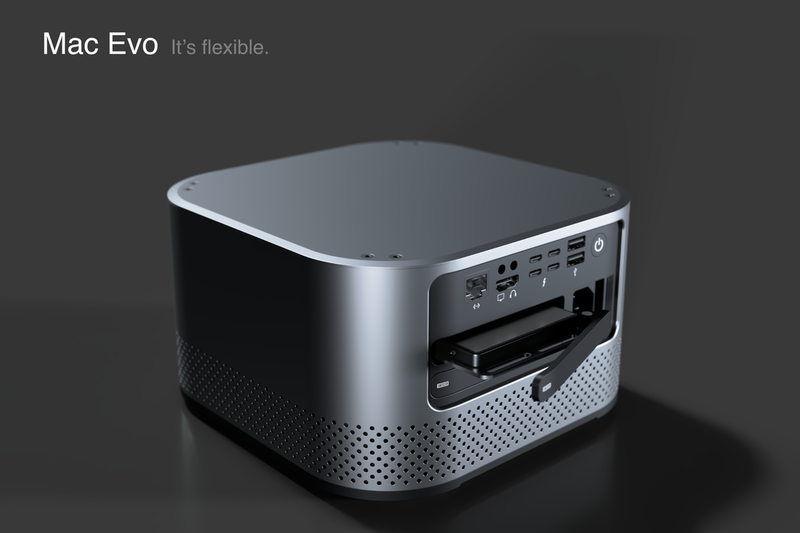 It is meant as a viable alternative for the growing number of enthusiast that require powerful systems for productivity, media creation or gaming, without the need for a large tower. 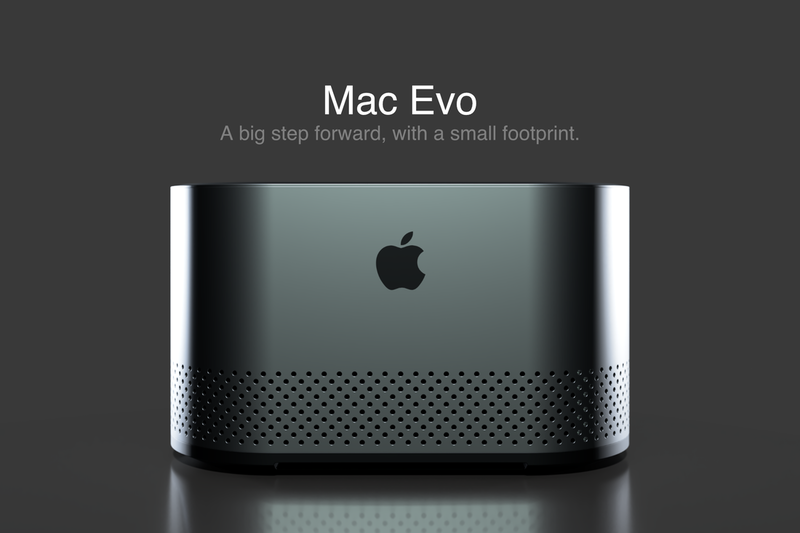 The Mac Evo also tries to address the increasing difficulty Mac users face when upgrading their systems, as every new generation relies more and more on proprietary components and soldered, non replaceable, chips. 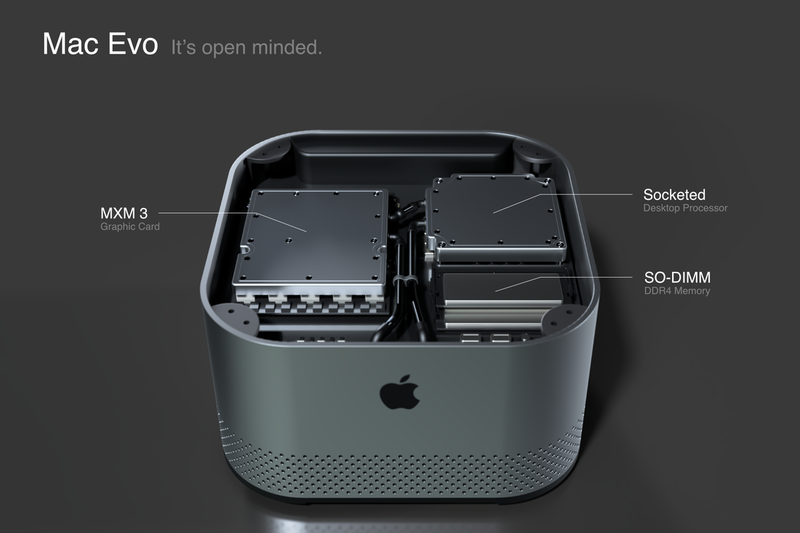 Finally, I wanted to introduce water-cooling to the Mac as a way to avoid any form of thermal throttling while keep the system as compact as possible. 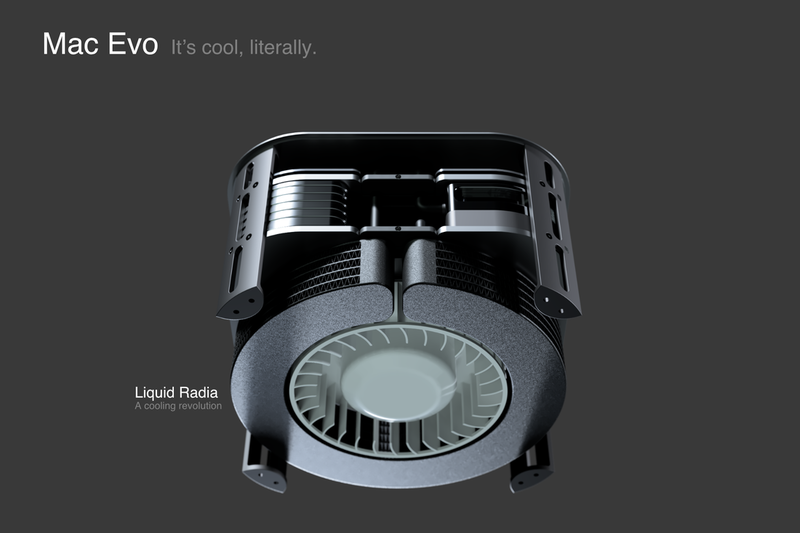 ​Liquid Radia water cooling system: a revolutionary liquid cooling system for both the CPU and GPU, that relies on a Radial Radiator for maximum cooling efficiency in a confined space. Classic Beige and G4LACTIC Clear colorways for all the hipsters out there. I have no idea what real world cooling efficiency Liquid Radia would have and I imagine producing a circular radiator would be quite the manufacturing challenge. I liked the idea however and thought it would be interesting to put it out there. 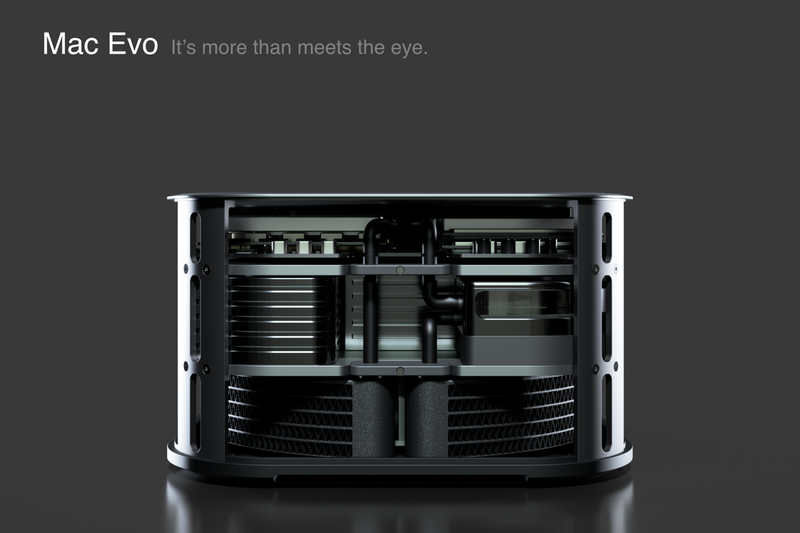 While I designed the internals of the system to be "pretty", an actual production model would probably never use that much machined aluminium as the overall cost would be prohibitive. 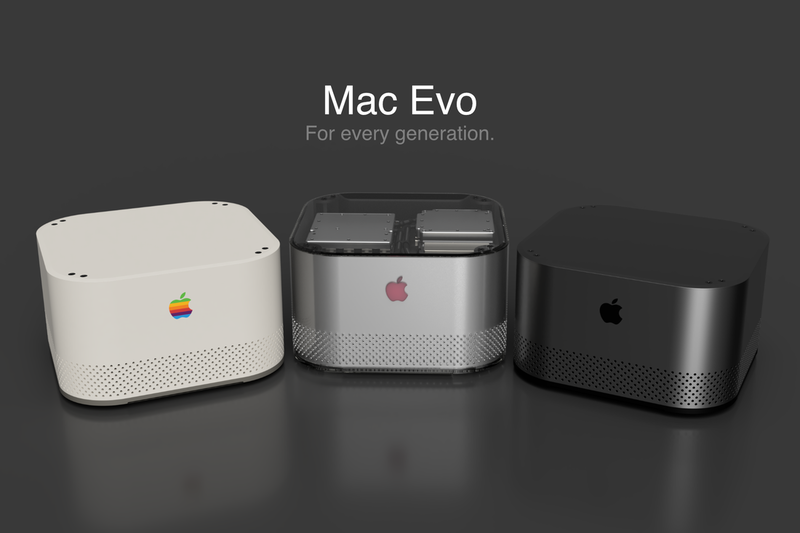 I would expect to see much more plastic and cast metal if this concept were to ever become reality. 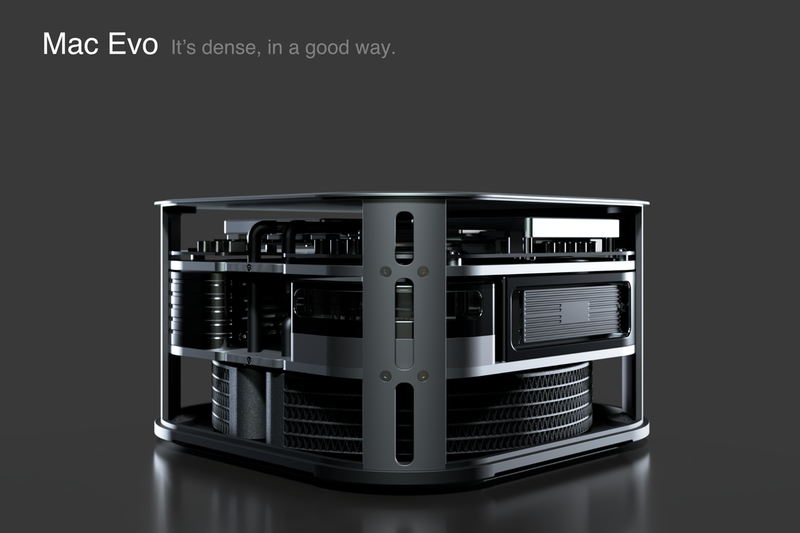 I know that the future of the MXM format for GPUs is far from assured. 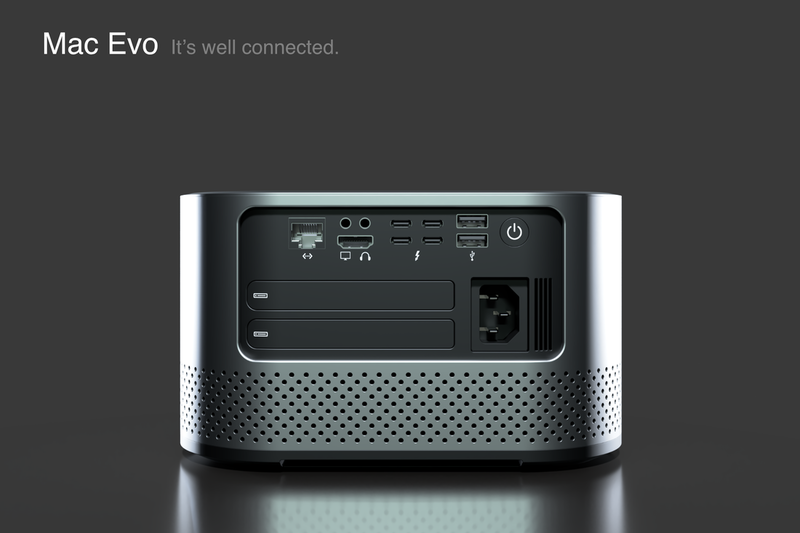 However I do like this format as it is compact and can supports architectures powerful enough for most users.